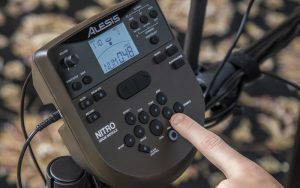 The Alesis Nitro Mesh Kit delivers the most realistic playing experience for every drummer, and it remains perfectly quiet in situations when you don’t want to disturb anyone. 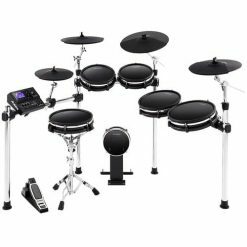 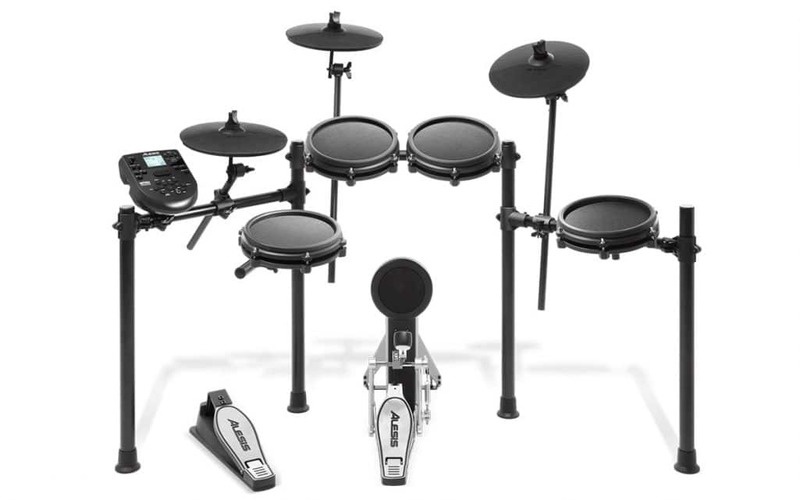 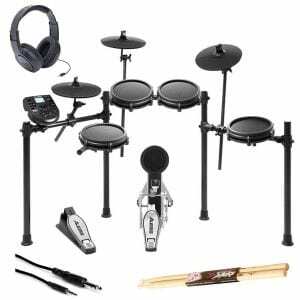 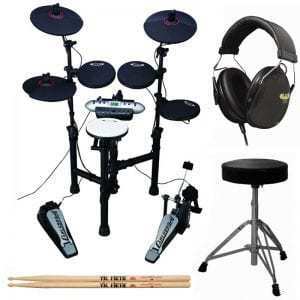 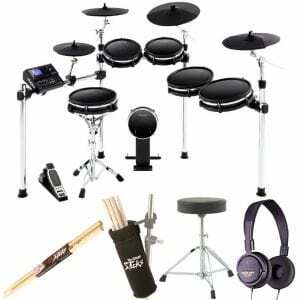 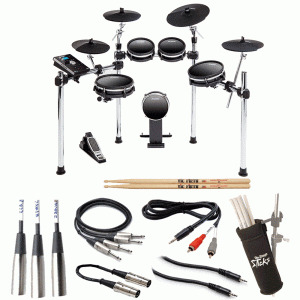 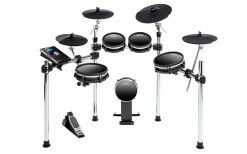 It is a complete 8-piece electronic drum kit centered around next-generation Alesis mesh head drum technology. 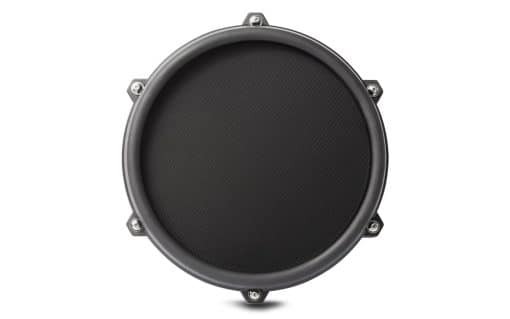 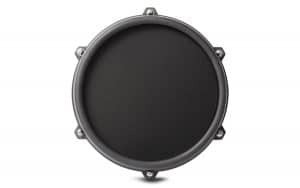 Mesh heads are the unanimous preference of electronic drummers for their natural feel and ultra-quiet response. The Nitro Mesh Kit gives you an 8″ dual-zone mesh snare drum and (3) 8″ mesh toms. It includes everything else you need to make a complete drum kit; (3) 10″ cymbals, custom-designed Alesis hi-hat pedal and kick pedal, and a durable 4-post aluminum rack. 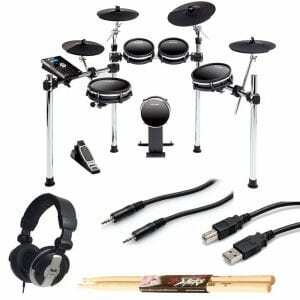 We also include all the cabling, a power supply, and drum key for easy setup. All of this connects to our legendary Nitro electronic drum module, which has hundreds of drum and percussion sounds, 40 drum kits, and 60 built-in play-along tracks. 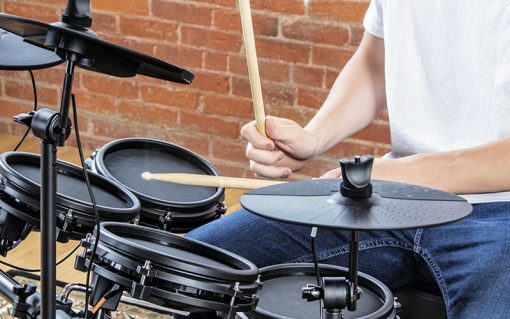 And, as all drummers demand, it has an aux input to connect a smartphone or music player for instant practice and accompaniment. The wide cushioning on its ear pads and adjustable headband provide serious comfort, while a low-profile fit makes the SR350s ideal for everything from home listening to fitness applications.Ear Bud The SR350s are a solid introduction to the superior audio quality provided by over-ear headphones. They make an excellent gift for the music lovers still using their supplied smartphone ear buds.The SR350 are carefully contoured to the shape of the head for a secure, yet attractive fit. 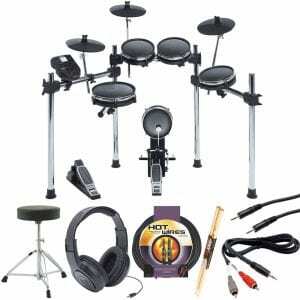 It’s a look that works with any outfit or occasion you can think of. 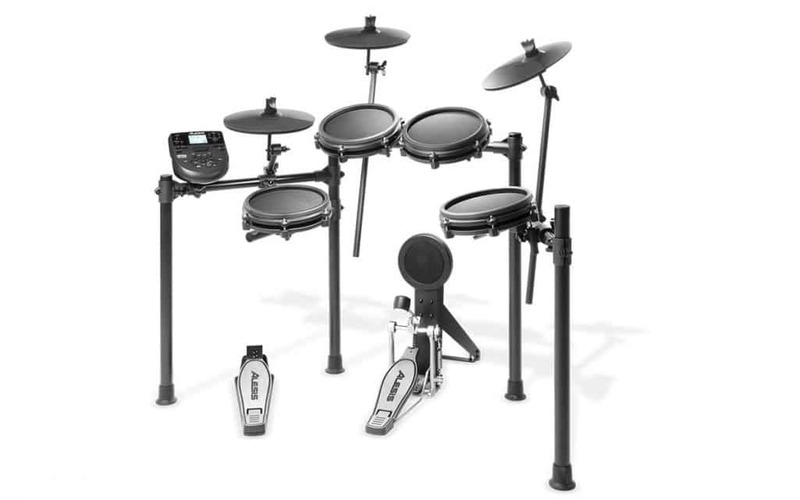 Featuring all lightweight components, the SR350s are ideal for a mobile lifestyle. 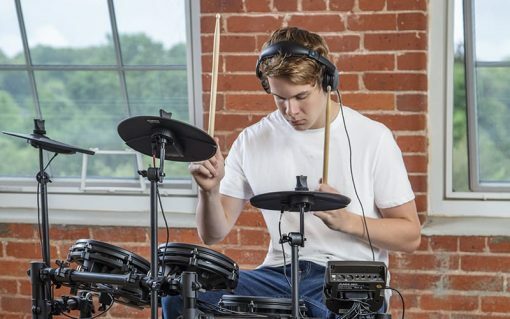 Perfect for a variety of fitness and travel applications, these headphones offer hours of ultra-portable, fatigue-free listening for even your longest listening sessions. 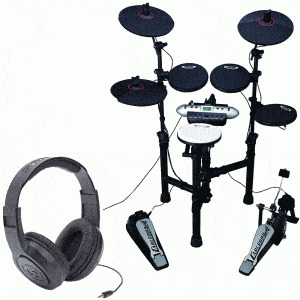 Features:Lightweight design ideal for music recording, practice and listeningPowerful audio performanceOver-ear, closed back design with cushioned ear cups 35mm drivers with rare earth magnetsAdjustable padded headband 20Hz20kHz frequency range1/4 adapter included. 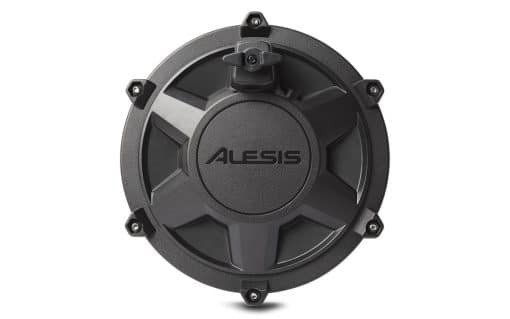 connection at one end and a 1/4″ male plug at the other end. sanded and sealed and are ready to make some thunder. are offered with a nylon or wood tip in a variety of different sizes.